Unlimited color printing for custom apparel is a dream come true for designers. Since introducing direct to garment (aka DTG) printing, sellers like you have been letting their creativity run wild. You have been so successful with DTG products that we had no choice but to offer high volume incentives. DTG printing is a great option for designs with 10 or more colors or campaigns that sell less than 10 items since there are no screens to produce for each color. Products printed this way are done 1 at a time but in high volume we are able to pass along our savings to you. Any products in your account that are printed DTG will be applied to the volume bonus that you earn. This means that you can have a single campaign that is helping you reach these volume tiers or multiple campaigns with various designs. Your bonus will be visible in the Payouts section of your User Profile at the end of each month. Ready to launch a big time DTG campaign? 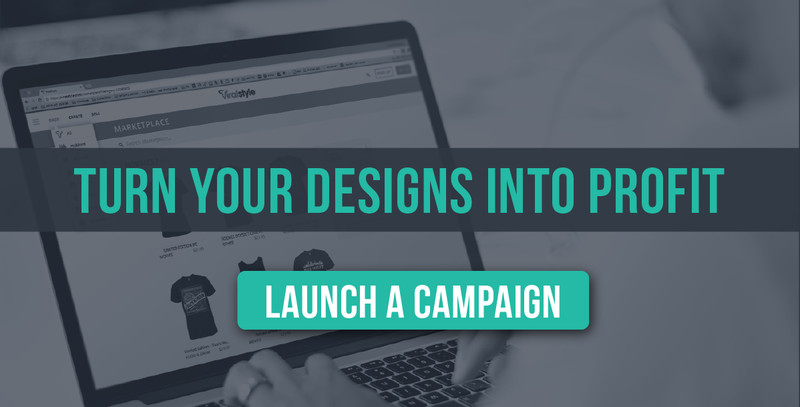 Upload your design to get started!